To date, the youngest Literature Laureate is Rudyard Kipling, best known for The Jungle Book, who was 42 years old when he was awarded the Literature Prize in 1907. The oldest Nobel Laureate in Literature to date is Doris Lessing, who was 88 years old when she was awarded the Prize in 2007. Swedish author Selma Ottilia Lovisa Lagerlöf (1858-1940) was the first woman to be awarded The Nobel Prize in Literature in 1909.The prestigious prize was awarded to Selma Lagerlöf in appreciation of the lofty idealism, vivid imagination and spiritual perception that characterize her writings.Selma Lagerlof was a novelist. Her native Värmland is the background for many of her excellent stories, which deal with peasant life. Her novels include The Story of Gösta Berling (1891, tr. 1898), a romantic tale of a priest, lyrical in style; Jerusalem (1901, tr. 1901-2); and a trilogy (1925-28), which was published in English as The Ring of the Lowenskolds (1931). The short stories of The Wonderful Adventures of Nils (1906, tr. 1907) are classics of children's literature. Lagerlof's most popular work, Gösta Berlings Saga, was published in 1891, but did not receive notice until its Danish translation, which garnered her critical acclaim. 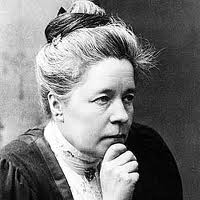 Selma Lagerlöf was awarded five years before she was elected to the Swedish Academy, the Nobel Prize awarding institution responsible for selecting Nobel Laureates in Literature. The Nobel Prize in Literature 1926 was awarded to Grazia Deledda for her idealistically inspired writings which with picture the life on her native island and with depth and sympathy deal with human problems in general. Grazia Deledda was an Italian novelist born in Sardinia. Her first work, a collection of short stories, was published when she was 19. Deledda first tried to have her stories published in a fashion magazine. Deledda's work is lyric and in part naturalistic, and combines sympathy and humor with occasional touches of violence. Interestingly, Grazia Deledda received her Nobel Prize one year later, in 1927. During the selection process in 1926, the Nobel Committee for Literature decided that none of the year's nominations met the criteria as outlined in the will of Alfred Nobel. According to the Nobel Foundation's statutes, the Nobel Prize can in such a case be reserved until the following year, and this statute was then applied. Grazia Deledda therefore received her Nobel Prize for 1926 one year later, in 1927. The Nobel Prize in Literature 1928 was awarded to Sigrid Undset principally for her powerful descriptions of medieval Scandinavian life. 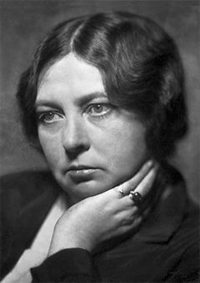 Sigrid Undset was a Norwegian novelist. 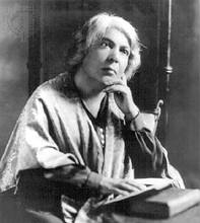 Her early novels of contemporary life, among them Jenny (1911), were frank and realistic works in which she described women's struggles for selfhood in a male-dominated society, but nonetheless strongly upheld traditional social structures. Her writing, always powerfully ethical, deepened in religious intensity after her conversion (1924) to Roman Catholicism. Undset is most famous for her historical novels dealing with universal human problems. Poverty forced her to do secretarial work for a time (1898-1908). The Nobel Prize in Literature 1938 was awarded to Pearl Buck for her rich and truly epic descriptions of peasant life in China and for her biographical masterpieces. Pearl Buck was an American novelist. Until 1924 she lived principally in China, where she, her parents, and her first husband, John Lossing Buck, were missionaries. She is famous for vivid, compassionate novels about life in China. The Good Earth (1931; Pulitzer Prize), considered her finest work, describes a Chinese peasant's rise to wealth and brilliantly conveys a sense of the daily life of ordinary Chinese people. In 1949 she founded Welcome House, which provided care for the children of Asian women and American soldiers. The Nobel Prize in Literature 1945 was awarded to Gabriela Mistral for her lyric poetry which, inspired by powerful emotions, has made her name a symbol of the idealistic aspirations of the entire Latin American world. A Chilean poet noted for the emotion and lyricism of her poetry, Gabriela Mistral's original name was Lucila Godoy Alcayaga. 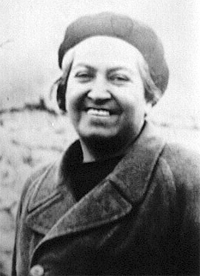 Gabriela Mistral was a teacher and director of rural schools in Chile before she attained wider acclaim as an educator. 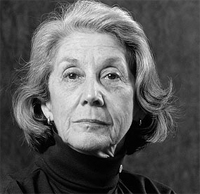 Mistral was noted for her revision of the Mexican school system under José Vasconcelos. Subsequently, she served as Chilean consul in various European and Latin American cities, and represented her country at the League of Nations and the United Nations. The mystery of childbearing, the sorrow of a tragic love, and a burning desire for justice are recurrent themes of her fluent and lyric verse. Nelly Sachs was a German poet, playwright and translator who won the Nobel Prize for Literature in 1966. 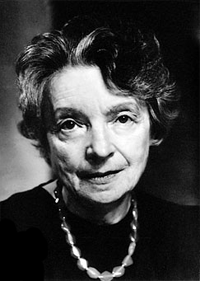 A German Jew, Nelly Sachs escaped in 1940 to Sweden. Sachs describes her own experiences and the sufferings of the European Jews in the collections In den Wohnungen des Todes [In the Apartments of Death] (1947), Das Leiden Israels [Israel's Suffering] (1969), and Die Suchende [The Seekers] (1960). Nelly Sachs was honoured with the Nobel Prize for her outstanding lyrical and dramatic writing, which interprets Israel's destiny with touching strength. Sachs shared her prize with Shmuel Yosef Agnon. In 1993, the Nobel Prize in Literature was awarded to Toni Morrison who in novels characterized by visionary force and poetic import, gives life to an essential aspect of American reality. 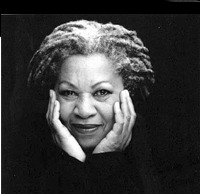 Toni Morrison is an American writer. Her fiction is noted for its poetic language, lush detail, emotional intensity, and sensitive observation of American life as viewed from a variety of African-American perspectives. Her first novel, The Bluest Eye (1970), is the story of a girl ruined by a racist society and its violence. 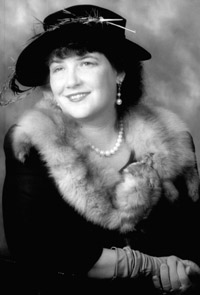 Song of Solomon (1977; National Book Award) established her as one of America's leading novelists. It concerns a middle-class man who achieves self-knowledge through the discovery of his rural black heritage. Her later fiction includes Beloved (1987; Pulitzer Prize), a powerful account of mother love, murder, and the legacy of slavery. Morrison was the first African American to win the Nobel Prize in Literature. Although highly acclaimed in her homeland, Polish writer Wislawa Szymborska was largely unknown in the West until she won the Nobel Prize for Literature in 1996. the prestigious Prize was awarded to Wislawa Szymborska for poetry that with ironic precision allows the historical and biological context to come to light in fragments of human reality. 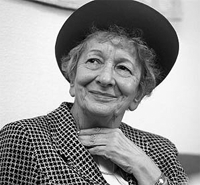 Szymborska, who often emphasizes the uniqueness of the individual, has been called an ironic moralist. Her verse is deceptively simple; her language colloquial, precise, and contained; and her tone detached and dryly sardonic. She wrote Dlatego zjemy [That's Why We Are Alive] (1952) and Pytania zadawane sobie [Questions Put to Myself] (1954) under Stalinist pressure, and has since repudiated them. Her writing flourished after the lifting of censorship. 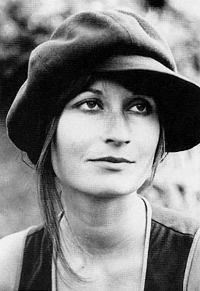 The Nobel Prize in Literature 2004 was awarded to Elfriede Jelinek. Elfriede Jelinek was honored for her musical flow of voices and counter-voices in novels and plays that with extraordinary linguistic zeal reveal the absurdity of society's clichés and their subjugating power. Elfriede Jelinek is an Austrian writer. She became a well-known and extremely controversial figure in her homeland with the publication of three novels, Die Liebhaberinnen, Die Ausgesperrten, and the semi-autobiographical Klavierspielerin. A fiercely feminist writer and an outspoken partisan of left-wing political views, she has often focused on issues of power and privilege, mainly the social subordination and violent sexual subjugation of women, and on Austria's Nazi past and nationalist present. She has been particularly praised for her powerful yet sensitive use of multilayered language. Elfriede Jelinek is a trained musician who also studied art history and theater. 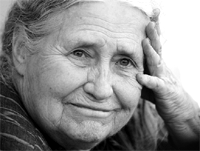 Doris Lessing was awarded the Nobel Prize in Literature 2007. The oldest writer to receive the prize, Lessing was honoured as that epicist of the female experience, who with scepticism, fire and visionary power has subjected a divided civilisation to scrutiny. Doris Lessing is a British writer who is widely regarded as one of the major writers of the mid-20th century and an influential figure among feminists. Lessing writes on a wide variety of themes: Rhodesia, women, communism, and animals. Distinguished for its energy and intelligence, her work is principally concerned with the lives of women – their psychology, politics, work, relationship to men and to their children, and their change of vision as they age. Born in Persia and raised in Africa, Doris Lessing wrote many novels, short stories, and essays, most about contemporary life, often pointing to social injustices. She was brought up on a farm in Southern Rhodesia (now Zimbabwe). In 1949 she went to England, where her first novel, The Grass Is Singing, was published (1950). 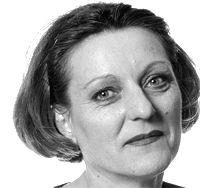 Herta Müller, a German-speaking Romanian novelist whose works are not well known outside Germany, was named the Nobel literature prize winner for 2009. Herta Müller was honoured with the Nobel Prize as a person who, with the concentration of poetry and the frankness of prose, depicts the landscape of the dispossessed. Muller emigrated to West Germany in 1987 after being refused permission to leave in 1985. Her novels draw on her experience of the oppression and horrors of Ceausescu's Romania.